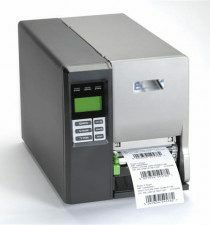 Higgins offers an impressive array of identification and security solutions for the healthcare market. We help you identify and secure your patients, employees and visitors. Succeeding in today’s competitive healthcare environment demands healthcare organizations drive patient loyalty, reduce operating costs and increase patient safety. Higgins healthcare solutions can automate patient registration while making patient–provider interactions more satisfying for patients and more efficient, secure, and profitable for the healthcare organization. Custom solutions can help decrease costs, improve quality of care, and quickly identify patient alert/safety indicators. Higgins system integrators have over 100 years combined experience in providing cost efficient secure ID solutions to healthcare providers. Our expertise can help you develop or enhance your secure ID and credentialing program, improve patient safety and privacy, streamline patient registration, and reduce costs. Please note, as our product lines are so extensive all our products may not be listed below.